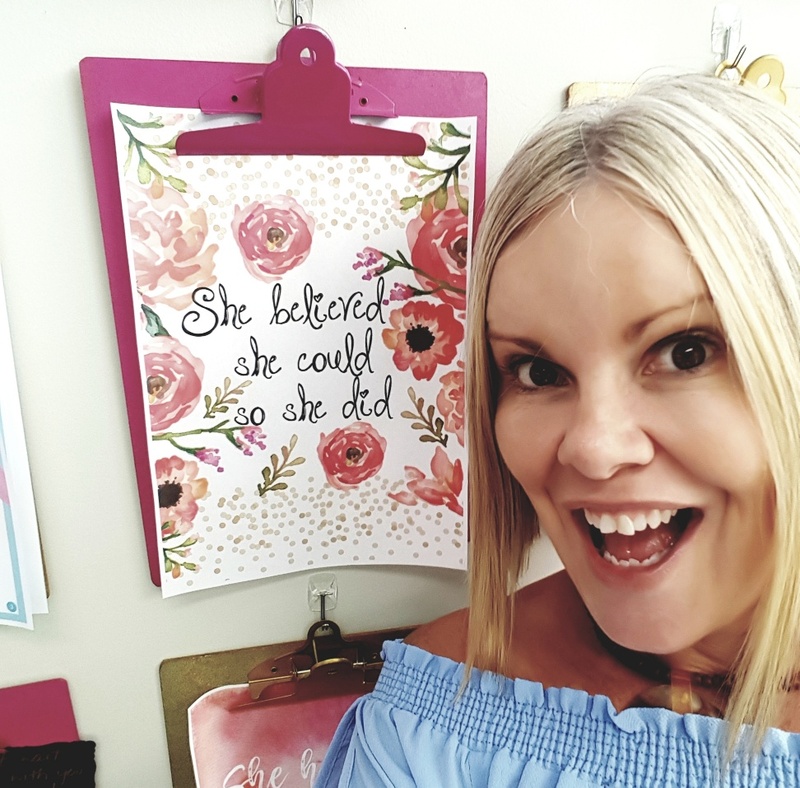 I'm Laura, the Mum Boss at snottynoses.com.au. 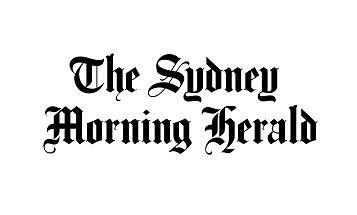 Let me tell you my story, and check out our contact details and segment on Channel 7 Sunrise at the bottom of the page! The story of the business began in Brisbane in 2011, when I was a stay at home Mum, on leave from my job as a primary school teacher. I saw an ad for the "Snotty" Nasal Aspirator in a magazine. My 2nd child was only a baby, with a very congested nose that I was constantly wiping. I thought, let's give it a go! So I purchased one, and loved it! "I saw an ad in a magazine, and didn't realise this was going to change the entire direction of my life"
I didn't realise this purchase was going to change the direction of my life and career in a big way! The Snotty Nasal Aspirator was the most effective device I had ever used to relieve a child's blocked and runny nose. After telling lots of friends about the "Snotty" for the next year or so, I started to think - "Every family in Australia needs one of these, perhaps I could sell them myself". I was worried I wouldn't know how to 'sell' or run an online business. But then I realised: teaching and e-commerce are very similar - they both require great communication, a commitment to excellent customer service, a friendly approach to life and a passion for your product. I knew I had nothing to lose! So I got in contact with the distributor, and my business was born in 2013. "I had nothing to lose"
I hope by reading my story, you may also be inspired to try something different or start your own business - who knows where you may end up! At first, I sold products to friends, family, Mums from my playgroup, and a few local families. I put up some flyers at local playgrounds and did some letterbox drops. The business was growing slowly, I remember getting excited when I sold 2 Snottys in one day. If only I knew what was to come. "I remember getting excited when I sold 2 Snottys in one day. I could see there was a niche market for unique devices that would help keep children healthy, so I took the opportunity to source other products, including those that I already used with my own children - the Aroma Bloom Cool Mist Vaporiser, the Homedics White Noise machine, the digital thermometer, the fetal doppler, the heat/cold packs. The new website was launched, the product range grew, and so did the sales and the customer base, with hundreds of parcels delivered all over Australia every month. snottynoses.com.au has evolved into an established and unique shopping experience, selling high quality gadgets for good health and good sleep - that really work! As a mother of three, I have spent lots of money on products that were simply not effective or didn't live up to the claims by the manufacturer. That's why I am so proud of the niche range of products we have sourced. I understand that what works for me might not work for everyone, but at least you can shop with confidence, knowing that any product listed on "Snotty Noses" has been used and recommended by a Mum! These products really will make your life easier! I love receiving emails and testimonials from satisfied customers, telling me how one of our products "changed their life" for the better. With over 2000 testimonials, we are confident that our products deliver results for Australian families. "With over 2000 testimonials, we are confident that our products deliver results for Australian families." I am proud of working with children with disabilities, particularly those with Down Syndrome and Cystic Fibrosis. These children have ongoing nasal congestion issues, and the "Snotty" Nasal Aspirator has been a medical marvel for their families. Also, I have received countless emails from pregnant woman, who have suffered previous miscarriages, who find such comfort in using the AngelSounds Fetal Doppler in their own home. We now have a fantastic crew working behind the scenes at snottynoses.com.au. I hope you can save time and money by shopping with us. There are already hundreds of baby and children online and retail stores, selling thousands of products from bottles and prams to cute sleep suits, slings, headbands, shoes and clothing. Snottynoses.com.au is different. 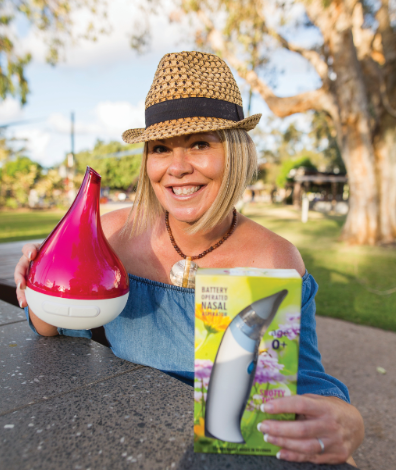 Our product range is small and specific - we sell gadgets for good health and good sleep and they are used and trusted by thousands of Australian families everyday! We support other Mums in small business through online networks and are proud members of the AusMumpreneur Network. I am also a business consultant with Productpreneur Marketing - helping new business owners navigate the complicated world of starting a new business. "Other Mums often tell me they are inspired by my simple business story." I hope by reading this, you may also be inspired to take a leap of faith, embrace your creative or entrepreneurial passions, and start your own business, in whatever industry or niche you love! We value each and every sale, and take great pride in providing you with high quality products and excellent customer service. You can be assured that your order will be processed and dispatched in a timely and professional manner, and all orders placed by 10am will be sent on the same business day. We use both Australia Post and Sendle.com Couriers to help get our products into the hands of our beautiful customers as quickly as possible. So many of our customers are from regional and remote areas, so Express Post is always an option - as standard delivery from Brisbane can take more than 6 business days, we urge you to consider the Express options. We are always only a phone call away, if you ever have questions about our products or service, so please pick up the phone: 0403 818440. In 2015, snottynoses.com.au began offering fundraising opportunities to local Kindys, Playgroups and Child Care Centres. It's an easy way to provide your community with high quality, practical products and get much-needed funds for your centre. The fundraising process is very streamlined, with all ordering and payment done online, via our website - no paperwork for the kindy! Your products are delivered a week after the fundraiser ends, for distribution to parents and families. In addition, Snotty Noses is proud to contribute $1 from each order to a children's charity. "It's our way of giving back to our community, and one of the best things about operating an online business." So far, we have donated thousands of dollars to Red Cross Christmas Appeal, Save the Children Australia, The Alannah and Madeline Foundation, The Pyjama Foundation, Miracle Babies, Queens of Hearts, the Cerebral Palsy Alliance and Hummingbird House and Bears of Hope. For International Women's Day 2019, we have been proud supporters of the Sophia Mulheran "Empower Women Project"
We are currently partnering with Little Rockers' Radio, and $1 from each order helps us support this amazing organisation. In 2018, we won a Qld Govt Grant for Digital Innovation which allowed us to launch our new website, with a range of new innovations and videos, to help our customers get great results with our products. In June 2018, we starred in a "Mum and Baby Flashmob" at Southbank, Brisbane. Check the video out below. 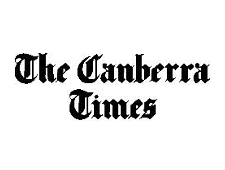 We've been featured in the South City News, Seven News, Sunrise and Studio 10 as a result of this publicity. In July 2018, we were a finalist for an AusMumpreneur Customer Service Award, and for Retail Business of the Year. In 2019, we have been nominated for the Australian Business Champions Retail Award. 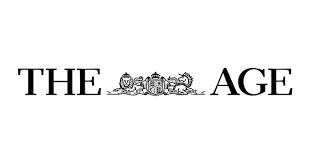 We continue to be featured in the media across Australia, including our latest article in The Sydney Morning Herald, The Melbourne Age, F Magazine and our listing with Beanstalk Mum Directories. 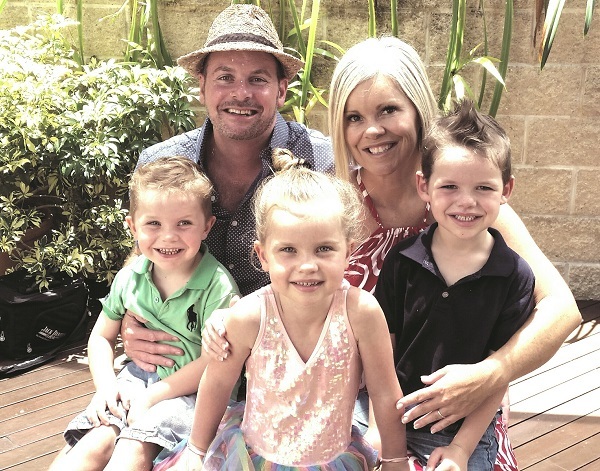 Mum Boss Laura was recently interviewed on Australia's Leading Small Business Podcast by Tim Reid. Listen to her business story here. Thank you for supporting an Australian small business. We look forward to assisting your journey to good health and good sleep. Our team is committed to delivering Australian families with effective, trusted, quality products, that are wrapped and dispatched with love, care and attention. My family is growing up healthy and happy, and I hope our products and advice can help your family too. Check out our Winter Season launch - the Mum and Baby Snotty Flashmob! Yep, we're dancing with the Snotty Aspirator!